QCFF Seeking Screeners, Cumberland Arts Walk Booth – Allegany Allied Arts, Inc. The Queen City Film Festival (QCFF) is currently seeking screeners. Screeners review submissions in one or more categories and help us decide which films will be selected for the festival. An excellent volunteer opportunity for qualified individuals. Ideal candidates will be residents of Allegany County, Maryland, have both high-speed internet access and a DVD/BD player, and possess extensive knowledge of cinema within one or more categories. You should be prepared to sort through many, many submissions to find the few hidden gems we will select and screen. Screeners needed in all categories especially Kids/Family and LGBT. If you would like to volunteer as a screener for QCFF 2015, please email info@alleganyalliedarts.org or visit us on August 8 at the Cumberland Arts Walk. 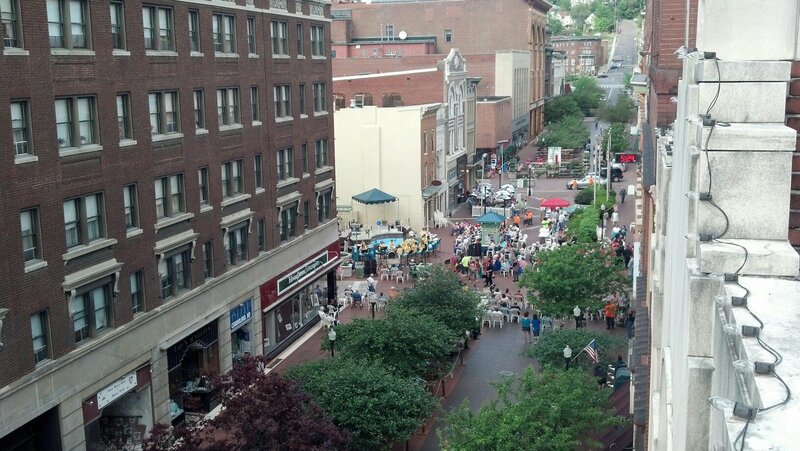 We will have our booth set up on the downtown mall for the Cumberland Arts Walk. If you’re interested in Allegany Allied Arts or the Queen City Film Festival (QCFF), stop by, enter to win a prize pack (details to come), and get involved.